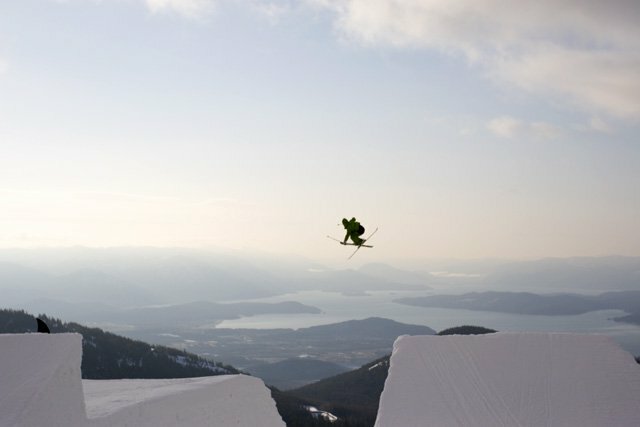 The tenth day of the Poor Boyz Jib Jam began before dawn broke on the mountains opposite Schweitzer. With bodies screaming for rest, the tired crew dragged themselves to the lift for a 5:15 upload and an early morning heli shoot on the monstrous channel gap. 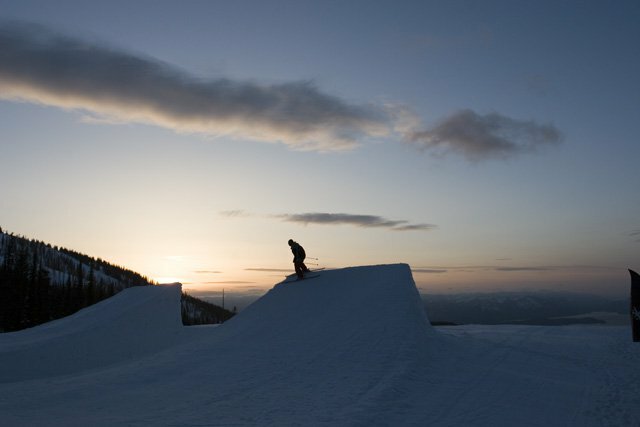 When Tim Russell, Matt Walker, Ben Moxham, Colby Albino, Derek Spong, and Anders Backe gathered at the jump half an hour later, the sun was just rising, and there were no snowmobiles to be found. 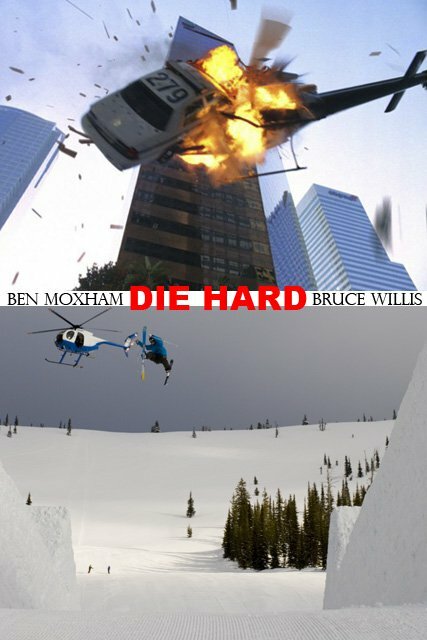 [Mike Wilson, who had been a reliable provider of sleds all week, wanted to jump out of the helicopter with his parachute but was shut down by the FAA and stayed in bed.] 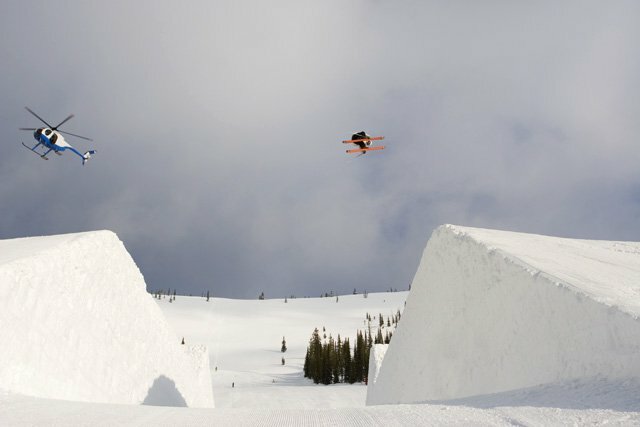 As the athletes waited to hit the jump, the irony of spending thousands of dollars on a helicopter only to have no sleds to tow the riders sunk in. Moxham was the first skier to test the channel, with Walker and Russell close behind. Anna Sagal and Keri Herman were next, ready to pick up where they left off the night before. After knuckling almost every hit yesterday, Sagal overcorrected her speed and took her first hit all the way to the flats, leaving five perfectly aligned dents in the landing; two longer marks where her skis hit, and three shorter ones from her head and hands. Sagal re-bruised her heels and broke her wrist in two places, bringing an unfortunate end her day. 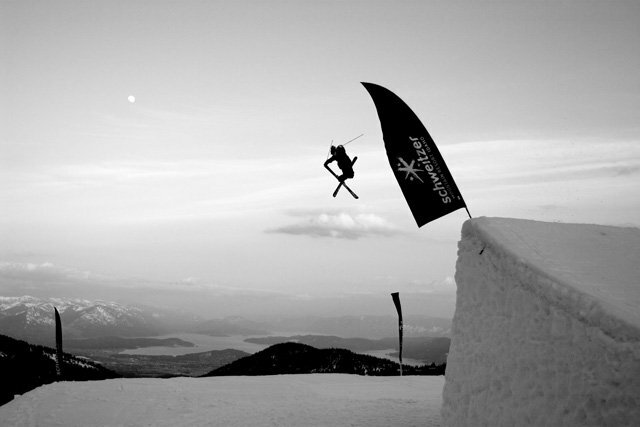 Walker was on point as usual, and Backe killed it with the cleanliness and precision that has come to define Scandinavian skiers. Derek Spong was also dominating, spinning natural and unnatural over the transfers with his trademark style. 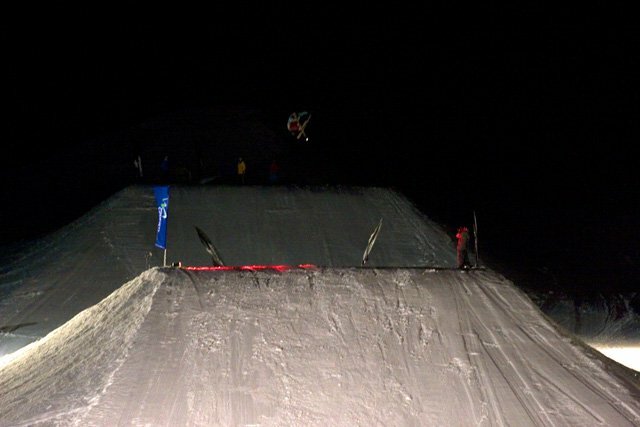 With his shots already in the bag, John Spriggs added another sled to the mix, constantly towing waiting riders to the top of the jump. 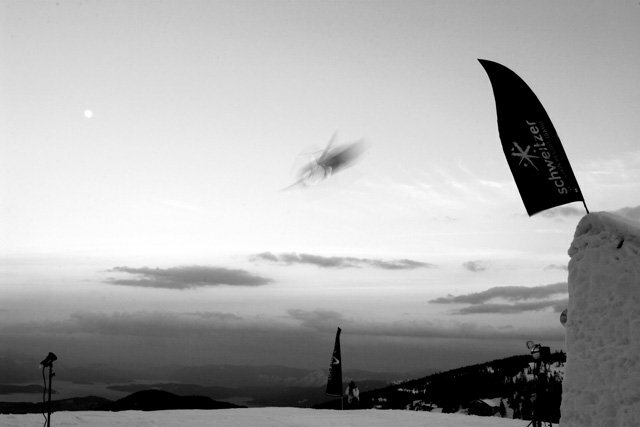 The omnipresent helicopter raised the level of skiing perceptibly, and Walker was working on cleaning up his 10&rsquo;s when he re-injured his thumb. While Patrol prepared to tape it up, he went up for another hit. Despite stomping the landing, he pulled a muscle in is thigh, forcing him out for a bit. As the heli pilot swooped lower and lower, the cable cam was taken down to give him some more space. In an unfortunate turn of events, Spriggs ran over the downed cable while towing a rider, bringing the sled count back down to two. At 8 a.m. the light deteriorated right on schedule, and once the helicopter left, the session mellowed considerably. Kyler Cooley and Keri Herman kept riding despite the lack of cameras, and Herman held it down for the girls, spinning impressive 3&rsquo;s and 5&rsquo;s over the channel. After the early start, most of the crew spent the day resting. 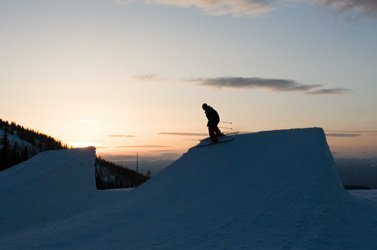 At sunset, everyone slowly gathered under a nearly full moon for one last session on the second Kicker kicker. 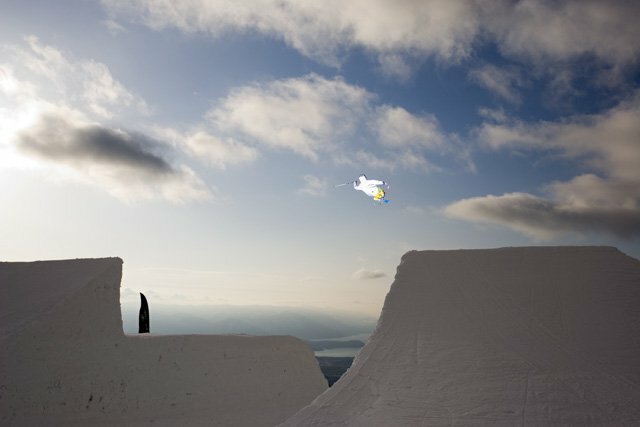 More photographers than filmers were present, and as a result the shoot was relaxed and smooth, with most of the riders emphasizing grabs and style over spin. 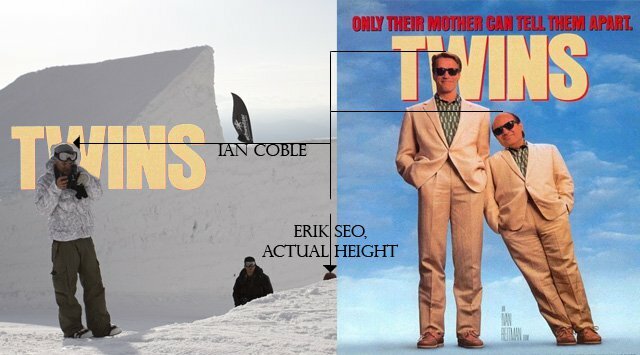 At this point it goes without saying that everyone was skiing well, with Walker, Spong, and Backe providing the usual highlights. 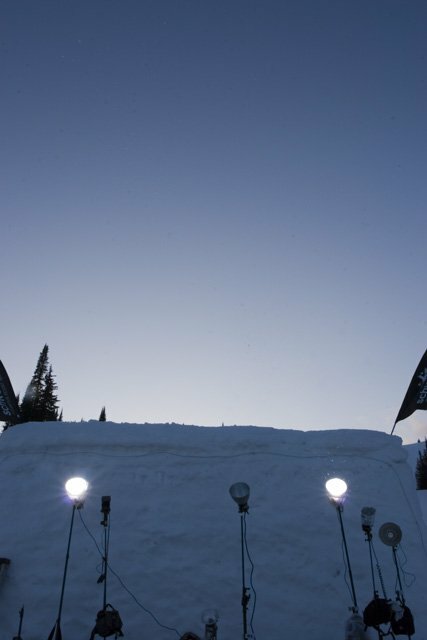 When the rapidly darkening sky forced the skiers to take a break, four floodlights were erected in anticipation of a night shoot. 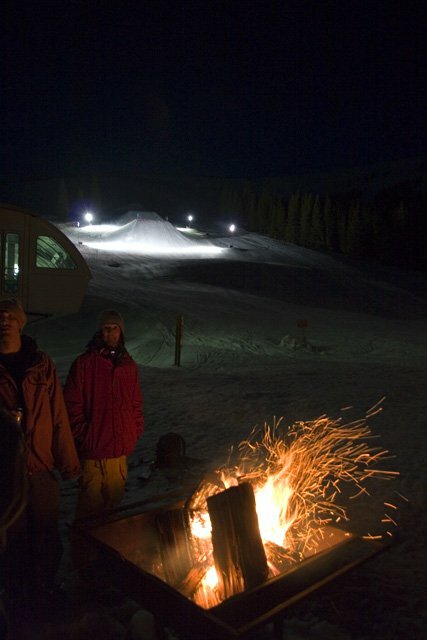 While everyone waited for the lights to power up, hot dogs and smores were roasted over a crackling fire at the bottom of the hill. With almost everyone content to mellow by the fire, the break ran a lot longer than anticipated, but eventually Dane Tudor got restless and kicked things off again. Some of the riders went back up to get a few more shots, others just wanted to ski, but when it was all said and done everyone was happy to head down to Thor&rsquo;s Pizza for the closing ceremonies. 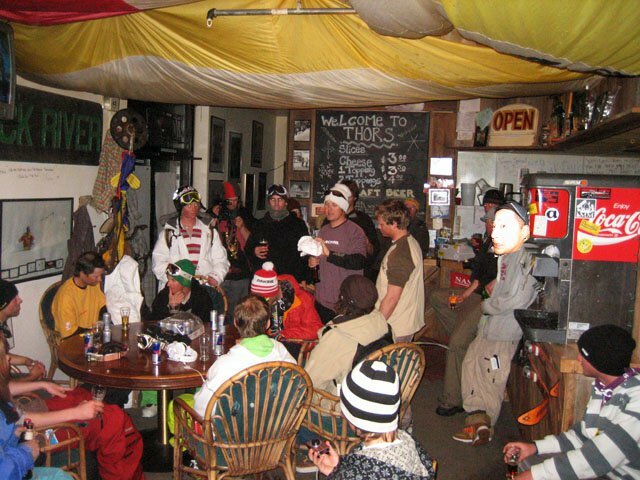 At Thor&rsquo;s countless speeches were given, the beer flowed like water, and rookie Ben Moxham won the award for Most Impressive Skier of the 2008 Poor Boyz Jib Jam. All of the participating athletes also received custom-stitched Schweitzer backpacks from Dakine, headphones from Skullcandy, and some other cool odds and ends. Despite the good times, eventually Thor had to go home, and the week was officially over. 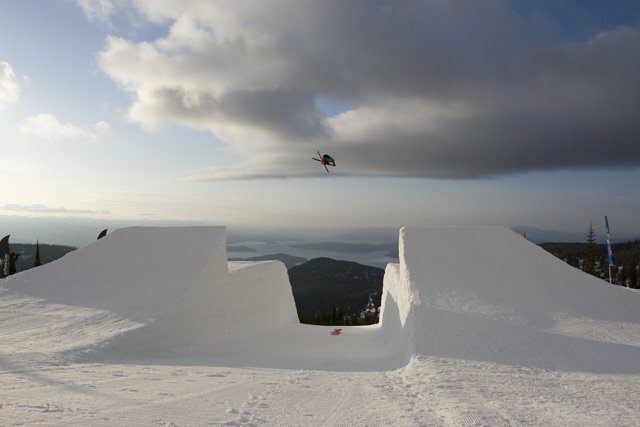 Patrick Sande, Mary Weber-Quinn, and everyone at Schweitzer Mountain Resort for their hard work and spectacular hospitality. To quote Pete Alport one last time, &ldquo;I feel like a special person when I&rsquo;m here.&rdquo; You&rsquo;re the best hosts anyone could ask for. Cody Carter and Pete Alport at Poor Boyz Productions for their generosity and all the hard work they put into making this happen. Thor for being stoked, opening his shop to us, and hosting the closing party. You&rsquo;re the man. All the riders who sent it day after day, allowing us to (barely) make a living documenting their talent. And anyone following the updates, we hope you liked them.